Michael Oertel, student of University of the West, Rosemead California, recently released his first book “An Introduction to China’s Economic Development, or simply we can say, Doing Business in China. 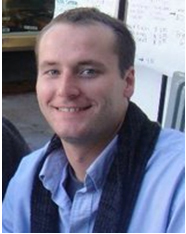 Michael Ortel is currently completing his M.B.A in International Business from University of the West, Rosemead, CA. Prior coming to California for his M.B.A Michael was one the most in-demand and prime consultants to American companies seeking business opportunities in China and visa-versa. Michael has extensive first-hand knowledge about the Chinese culture and can tell you the best practical ways to be successful in China. He can speak Mandarin and some sub Chinese dialects. After returning to the United States from a long but pleasurable experience working and living in China, I wanted to share my perspective on China’s economic development. My book “An Introduction to China’s Economic Development” which is available on amazon.com, is tailored towards Americans who are interested in understanding China’s economic development and what indicators to evaluate when assessing China’s economy. My book is unorthodox in a sense because I nearly ignore statistical data such as GDP and GDP growth rates when evaluating China’s economic development and focus more on developmental indicators such as total population, population growth rate, education, health care, income inequality, et cetera. After carefully evaluating China’s economic development using human development indicators, I explain how they will affect China’s long-term development. What the reader will find, after reading my book, is that China is facing many internal problems that are not reflected in its GDP growth rate. For example, why are the wealthiest Chinese trying to get their money out of China and into the United States? Or why are Chinese students going to great pains to study abroad when the Chinese government is reallocating so much money to Chinese universities? These questions and more are addressed in my book to bring awareness to the public but more specifically for American organizations that are contemplating whether or not to relocate operations to mainland China. 2) How did you come to do what you’re doing today? My initial plan, after finishing my undergraduate degree, was to teach English in China for four months and then return to get my masters degree in International Affairs with a concentration in Chinese-American diplomacy. However, as you can tell, my plans have changed. I find that government is too inefficient and haunted with legacy issues which impair its ability to adapt to the 21st century. I am not the kind of person who can sit in their comfort zone for too long and just go through the motions 8 hours a day 5 days a week. I like to explore the unknown and indulge in things that Americans would never fathom doing. Right away I noticed my niche- I have the ability to adapt to my local environment much faster than the average American which gives me a comparative advantage in China. Right now I am working to develop an organization that will help Chinese students and American teachers. While teaching in China, I noticed that the universities lacked qualified teachers and that the United States has an over-supply of qualified teachers. My organization will help bridge these two inefficiencies by recruiting American teachers who have been affected by the recent budget cuts and help them find jobs teaching in China. What is different about my organization than other recruiting agencies is that my organization will provide additional training before our teachers begin teaching in a Chinese classroom. In simpler terms we will make sure that all of our teachers are prepared for their transition into the Chinese classroom so that instructions are effective and productive. I strongly believe this solution is a win-win for both China and the United States. China will receive qualified teachers and the United States will receive job opportunities. 3) What do you think about China U.S trade relations? I think China and the United States have such a unique relationship never before witnessed in history. China needs American consumption and the United States needs China to buy its debt. This relationship is effective only if the two countries can maintain good relations. However, relations between China and the United States are affected by miscommunication and mistrust due to cultural and language disconnect. The only way to break down this barrier is through cultural exchange programs. Cultural exchange programs will send representatives from each country to study and learn more about their host country’s culture and values. My organization is addressing this dilemma by incorporating services that will help more Chinese students study in the United States and more importantly, help American students study in China. 4) What do you most enjoy about what you do? I enjoy what I do because I want to help improve relationships between the United States and China. I think my organization can address this problem while simultaneously helping Chinese students and creating jobs for American teachers. 5) Are there any people and/or books that have inspired you along your journey? I would say Thomas Friedman and Peter Hessler have been the most influential. Thomas Friedman because he is always challenging Americans to have the audacity to go out and change things and Peter Hessler because his books and articles really capture China’s development and its people. I would advise people to stay away from books by Henry Kissinger regarding China because they do not capture the realities of China (I might get into trouble for this statement). 6) Can you share some business tips for our readers, intending to do international business? Adapt fast and show respect to your host. Remain open-minded and try everything- think of it as a performance not just a responsibility. Rely on your intuition and less on rational thinking- rational thinking could get you in trouble when conducting business in China. 7) Can you share something that people might be surprised to learn about you? I am a political scientist at heart and enjoy reading about the Middle-East. I think the world is interconnected in a way and I enjoy the challenge of building relationships and correlations between variables that others dare not to explore. I spend less time reading about theory and more time reading books by journalists and their personal experiences. I don’t believe a person with a PhD sitting in his office in Cambridge Massachusetts can capture the world order better than those who are in the trenches everyday experiencing day-to-day transactions. “This book is a goldmine for anyone who wants to do business in China. It’s jammed full of interesting stories, valuable facts, hard to find statistics, illustrations and significant pictures of daily live in China—it is a must read”. The Department of Business Administration at University of the West and the Asian Business Association will hold a lecture series on business technologies and management. This lecture series is aimed at helping small businesses discover big business solutions, expand market presence, reach out to new customers, manage operations, and make money through investment in technology. The lecture series will cover the following five topics. All lectures will be held at AD205, and free of charge. Reservation is required to attend. To register for the lecture series, go to the website at http://ababroadband.eventbrite.com. University of the West is located at 1409 N. Walnut Grove Avenue, Rosemead, CA 91770; Tel. (626)571-8811. This project was funded by the U.S Department of Commerce and the Emerging Technology Fund.